My business partner, Carrie and I just threw our first annual Haunted Hollywood party for Atlanta Movie Tours. In this installment, I will share photos and talk about the evening. As we are essentially in holiday party mode as of NOW (really, Target, couldn’t you wait to put out those Christmas decorations? ), I am going to let you know my true feelings about party giving, and those guests….. This is something that is rarely seen (or read) here. I try to be sweet and dear, but sometimes a girl just has to rant. It’s Cinco de Mayo! Hooray! It’s that fabulous holiday where we celebrate Mexican Independence Day! Time to grind the masa for tamales and make some luscious tequila beverages. 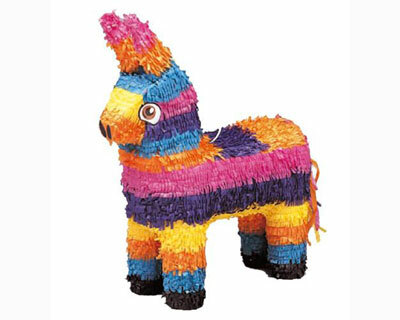 Setting the table with a gorgeous pinata centerpiece would really set the mood. Don’t worry about filling it, this one is just for show. Cover the table with your brightest yellow cloth and place napkins of red and blue out for your guests. That should make everyone feel festive. And how about those drinks? Lets see what we can whip up, shall we? Come on in for some tasty libations! Still Plenty of Time to Plan A Party! Sweet Stephanie from Deutsch Inc. clued me into some great tips from her friends over at Pat Glenn Productions on giving your best New Year’s Eve party ever. Trust me, even after years of giving my own parties, I can always learn something new and these handsome fellows from NYC have a few new tricks up their sleeves! Look at this gorgeous event they created – wouldn’t you just love to be a guest at this party? 2. Don’t Sweat It. You don’t want your house to feel stuffy and overheated. Turn down your heat well in advance of your guests’ arrival to ensure the temperature will be comfortable. It will also cut down on cost for your heating bill! 3. BYOB – Build Your Own Bar: You can create a bar by simply covering a six-foot table with a crisp, white floor length table cloth. Make sure to situate your bar in an accessible location so you don’t create a “traffic jam” in the corner of your living room. 4. Get Festive with Ice Cubes! Give your guests’ drinks a festive touch by freezing cherries or cranberries in your ice cubes! Any leaf from the mint family also freezes nicely. 5. Custom Cocktails: Don’t waste money on high-end champagnes. Instead create a signature cocktail for your event. It’s not only festive but will help monitor how much alcohol you’re serving. 6. Create a Coat Check: Clear out a hall closet or consider renting a coat rack, which are easy to assemble and can be placed in a spare room or hallway. It’s much nicer than having guests throw their coats on a bed with a sea of other jackets. 7. Kitschy Cocktail Napkins. Buy cocktail napkins with fun/seasonal sayings – they will becoming conversation pieces at your party. 8. Candle Couture. Instead of a large centerpiece at your dining table, decorate with pillar and votive candles. Votives come in virtually every color, so you can buy colors to match your other décor and line them down the center of the table to create a simple, clean warm ambiance. 9. Hello Espresso! Coffee, Espresso and Cappuccino Bar with whipped cream and shaved chocolate toppings are a special sweet treat for your guests. It’s also a great way to keep your guests awake until the New Years Eve countdown! 10. Forget Flowers: Save money by incorporating a common theme throughout your party and sprinkle the room with different objects that connect to the theme to tie it all together. Some great holiday touches are using pine cones, holly, mistle toe and wreaths to create an inexpensive yet elegant decor. Small personal touches really help make your guests feel the warmth of the season. Or, you could just hire these two and they could turn your party into a once-in-a-lifetime event! Lets Make Some Fun With Pretzel Crisps! 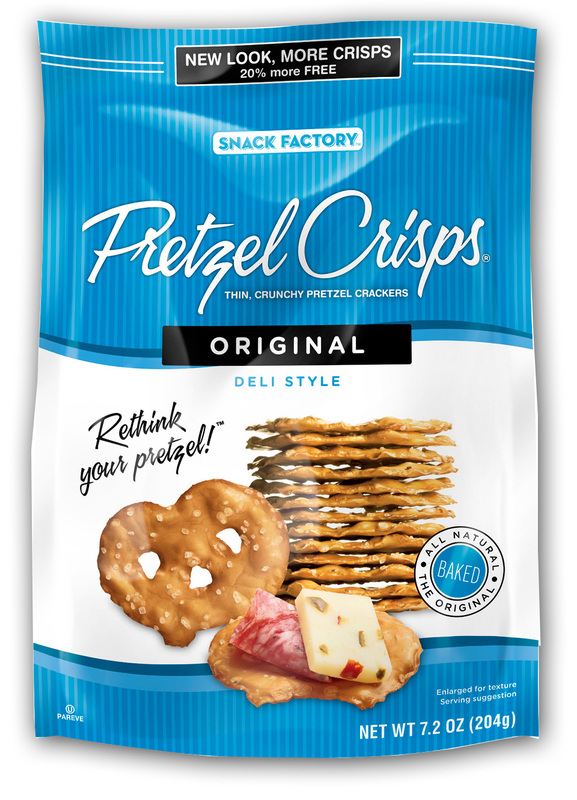 Pretzel Crisps. What? 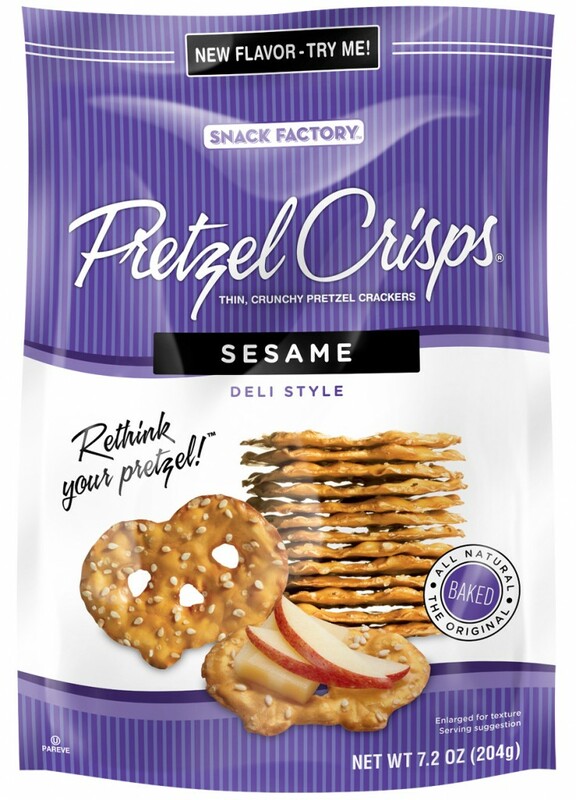 What exactly is a Pretzel Crisp? I had a chance to find out when the nice folks from Snack Factory sent three bags full to my door. 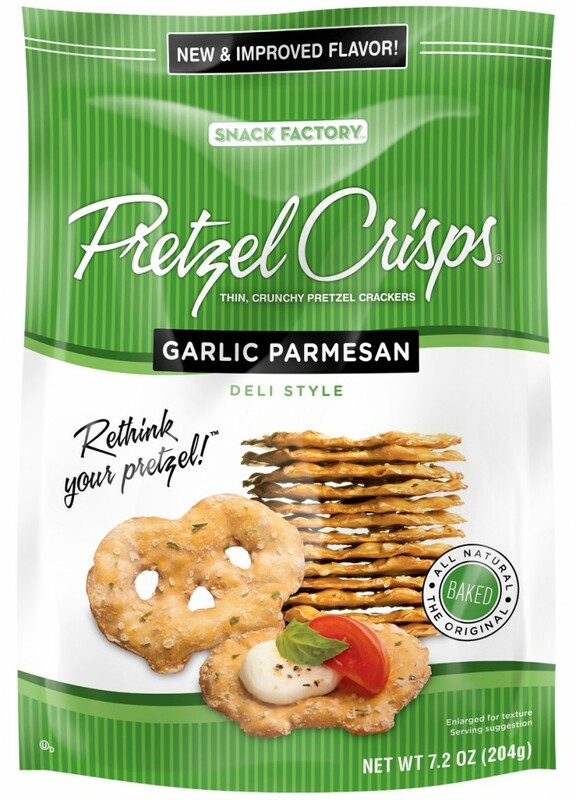 Now, Snack Factory is the swell company that brought you Bagel Chips – remember those? The OMG, let-me-eat-the-whole-bag folks? Believe me when I tell you that Pretzel Crisps are even better. At our house they have been replacing potato chips as a crunchy side to sandwiches and late night munch attacks. But, how could I use them for a party? Really, Patti? There a zillion ways to use these multi-flavored yummies. This past Sunday I served them as a pre-dinner nibble with the cream cheese/fig dip Wesley had made for the party that week. You know how chips always break? Not my new buddies the Pretzel Crisps. No siree, they held up. So why not top them with any ingredient you would normally top a bruschetta with? They would be divine topped with my favorite dilled chicken salad. You could use them in place of blini and slather them with sour cream and caviar. And check out all the flavors! Eric and I tried the Plain, Sesame and Everything Crisps. I loved the Everything Crisps best (so did Curtis and Eric). But I checked the website and they have a Buffalo Wing flavor!! Isn’t that crazy? I love it. Get ready for some football y’all! So go on out and grab a bag and try them. Let me know how you would top ’em. I am dying to hear your ideas! Posted in Appetizers, atlanta, Autumn, party | Comments Off on Lets Make Some Fun With Pretzel Crisps!